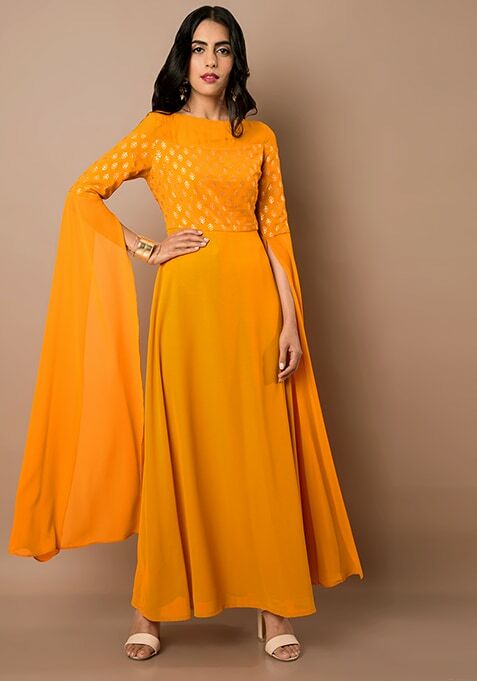 Be different and be beautiful in this mustard yellow extra long sleeve tunic that looks simply gorgeous. Made from georgette, this foil print tunic flows down your silhouette like water. Work It: Get a nice hairdo when you wear this tunic to look stunning.